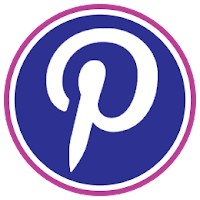 If you currently follow me on Pinterest, I wanted to let you know that I created an account exclusively for school to help keep things more organized. When I looked at my pins, it was a jumble of things that I was pinning to help out friends or pins for giveaways mixed with things that I actually wanted to use myself or my classroom. I also wanted to do more collaborative boards, but didn't want those pins dominating my feed since a lot of them didn't interest me. So I got a chance to start fresh by creating an account geared towards helping others instead of myself, and looky what I did! I went to PowerPoint and made title pages for all of the boards that I thought that I wanted and saved them as pictures. I tried to make them specific so that others could find things easily, like making Math and ELA instead of just School Stuff. I uploaded them one-by-one to make new boards. They automatically became the cover pictures for the board. If you wanted to do this on your own boards, you could add the title pages to an already-existing board. Then you have to go back and hover over the current cover picture in order to be able to change it to that new title page that you pinned to that board. It sounds confusing, but it's really not. I would be happy to talk (well, type) you through it. These lovely ladies gave me the inspiration for my boards - Teacher's Toolkit, Teach with Laughter, Cynthia, Cyndie, The Fun Factory, and Ms. Smarty Pants. What an awesome idea, Diane! I have thought of doing the same but wasn't sure how to go about it. Great job! You are so smart. I've thought of doing this also but not sure I'll get to it anytime soon with my mile-long to-do list! I have thought about this same idea. I think I will at least make the board covers for my personal one. I feel that if I try to tackle this idea I will spend more time on it than I need to. I really wish Pinterest would get SUB-BOARDS. That way I could just have a personal one with sub-boards of my stuff then an Education one with sub-boards with in that!!! Thanks for taking the time for us though!!! I always feel bad for the people that don't teach that have to look at all of our pins..this is a great idea to get another account! Thanks for sharing and all the great ideas! Your title pages look great! I'm totally following you! This is awesome, Diane!! Can you just find your personal Pinterest board and just repin the entire board to your teacher account then? I am adding this to my to-do list. Thanks for sharing! A great idea but definitely a big project to move them all over. I hope it works better for you. So, you now have two pinterest accounts? Do you have to log out of one and log into another to see them?